The Football Fever Viewing Party, presented by Visa, in the specially created football tent at Garden Caf� at Jumeirah Messilah Beach Hotel & Spa, enhances the experience of fans catching all the action in the town’s best venue. With large screens showing all the matches, football fans with their friends and families can cheer on their favorite teams in a lively atmosphere as the tournament reaches the crucial stages, while enjoying the buffet of the famous restaurant along with flavored shisha. Football Fever Viewing Party will boost excitement levels with a range of fun activities such as raffle draws, with coveted prizes on offer including VISA’s exclusive Party in a Box prize which contains an Xbox One S + FIFA ’18 + Extra Controller and many other branded items. Guests watching the semi-finals and final in the Garden Caf� will have the opportunity to win one of these prizes. “The World Cup is always an exciting occasion and is unique in that it brings together people of all communities, from diehard football fans to those who wouldn’t ordinarily watch football and we at Jumeirah Messilah Beach Hotel & Spa are proud to offer such a captivating venue in which people can cheer on their favorite team in an extra-ordinary ambiance,” said General Manager, Savino Leone. 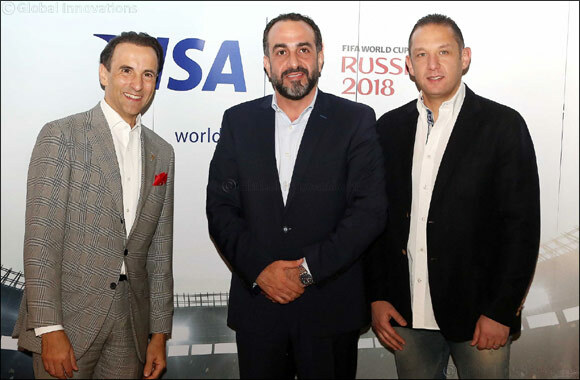 “Through our partnership with Visa we enhance the football-watching experience and welcome all football fans to join us for the rest of this exciting tournament.” he added.